The School of Public Policy (SPP) and The Trinity Forum will host journalist and writer Rod Dreher, who will speak on his newly released book, The Benedict Option: A Strategy for Christians, in an Evening Conversation on Wednesday, March 15, 2017, at 6:30 pm, at The National Press Club in Washington, DC. Dreher's discussion is part of SPP's "The Moral Sense in Politics & Policy" speaker series. In what promises to be a fascinating discussion, Dreher presents a radical vision for the future of Christian life, and calls on American Christians to embrace an ancient way of life modeled by St. Benedict, a sixth century monk who built enduring and separatist Christian communities focused on prayer, hospitality, and spiritual practice. 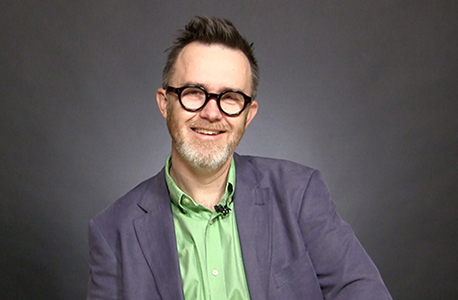 Such self-imposed exile from mainstream culture, combined with the construction of a resilient and creative counterculture, is, Dreher argues, a vital means of addressing challenging cultural and political issues. Dreher is a journalist and writer who focuses on the intersection of religion, culture, and politics. He is a senior editor at The American Conservative and the author of How Dante Can Save Your Life, Crunchy Cons, and The Little Way of Ruthie Leming. His work has appeared in numerous publications including the National Review, First Things, and The Wall Street Journal, and broadcast on NPR’s All Things Considered and BBC Radio. Responding to Dreher will be Kirsten Powers. Powers is a political pundit and an analyst for CNN. She has worked as a columnist for USA Today, Newsweek, The Daily Beast, and The American Prospect. Her articles regarding politics have appeared also on Elle, New York Observer, Salon, and The Wall Street Journal. She is the author of The Silencing: How the Left is Killing Free Speech. Also, responding will be Peter Wehner, a Senior Fellow at the Ethics and Public Policy Center and contributing opinion writer for the New York Times. Wehner served in the last three Republican administrations, including as Deputy Director of Speechwriting and later Director of the Office of Strategic Initiatives for President George W. Bush. He is author of City of Man: Religion and Politics in a New Era (coauthored with Michael Gerson) and Wealth and Justice: The Morality of Democratic Capitalism (coauthored with Arthur Brooks). This event is free ($20 otherwise) to Pepperdine alums and supporters. Please register through Melissa Espinoza. About the "Moral Sense in Politics & Policy" Speakers Series: Since 2013, SPP has collaborated with Washington, DC's The Trinity Forum in hosting twice-annual speaking events that look at the intersection of virtue and public policy. The phrase, "moral sense" is borrowed from one of SPP's founders - the late Dr. James Q. Wilson - who felt that effective public leadership demanded a more humanistic approach based in a rigorous liberal arts education. Nov 14: Has Liberalism Failed?